This 2016 has Vic Dibitetto on the road, playing theaters in a few spots (for now). We personally will hopefully be seeing him live at The Borgata in Atlantic City NJ. Although the show is basically sold out and only rear seats remain as of writing this. Of course we want to sit up front and not all the way back. Part of the ‘show’ are his facial expressions and body gestures. If you’re wanting to see Vic Dibitetto live, then check below. You’ll find his official tour schedule, links to look for tickets and some funny video clips we picked out of the many we had to choose from. 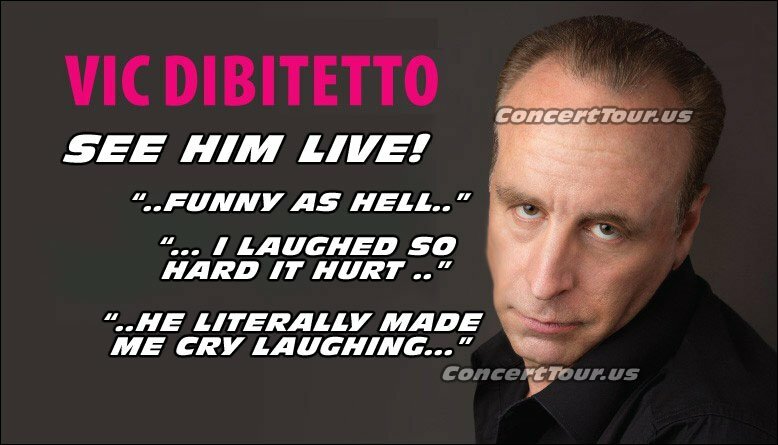 Check back as we are pretty sure that Vic Dibitetto will be adding more dates to his live comedy tour. VIC DIBITETTO has become in internet sensation, and he’s even funnier in person. You must see him live!